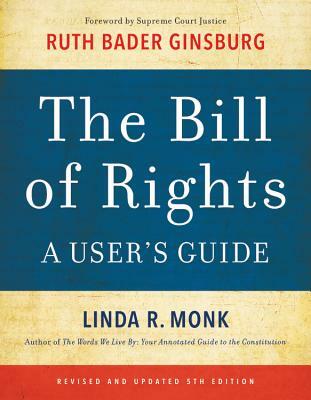 In The Bill of Rights: A User's Guide, award-winning author and constitutional scholar Linda R. Monk explores the remarkable history of the Bill of Rights amendment by amendment, the Supreme Court's interpretation of each right, and the power of citizens to enforce those rights. Stories of the ordinary people who made the Bill of Rights come alive are featured throughout. These include Fannie Lou Hamer, a Mississippi sharecropper who became a national civil rights leader; Clarence Earl Gideon, a prisoner whose handwritten petition to the Supreme Court expanded the right to counsel; Mary Beth Tinker, a 13-year-old whose protest of the Vietnam War established free speech rights for students; Michael Hardwick, a bartender who fought for privacy after police entered his bedroom unlawfully; Suzette Kelo, a nurse who opposed the city's takeover of her working-class neighborhood; and Simon Tam, a millennial whose 10-year trademark battle for his band "The Slants" ended in a unanimous Supreme Court victory. Such people prove that, in the words of Judge Learned Hand, "Liberty lies in the hearts of men and women; when it dies there, no constitution, no law, no court, can save it." Exploring the history, scope, and meaning of the first ten amendments-as well as the Fourteenth Amendment, which nationalized them and extended new rights of equality to all-The Bill of Rights: A User's Guide is a powerful examination of the values that define American life and the tools that every citizen needs. Winner of the American Bar Association's Silver Gavel Award, its highest honor for media about the law. Linda R. Monk, J.D., is a constitutional scholar and award-winning author. A graduate of Harvard Law School, she twice received the American Bar Association's Silver Gavel Award, its highest honor for public education about the law. Her books include The Words We Live By: Your Annotated Guide to the Constitution, Ordinary Americans: U.S. History Through the Eyes of Everyday People, and The Bill of Rights: A User's Guide. Ruth Bader Ginsburg is the second female justice to be confirmed to the Supreme Court and the author of My Own Words.